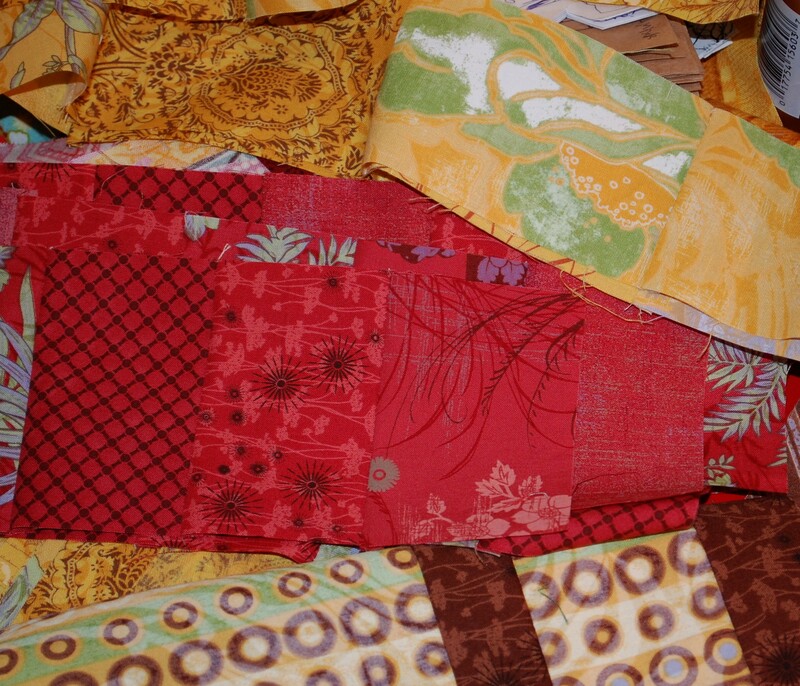 just some snapshots of life around here…things are cooking up on the Jay McCarroll quilt. Next entry should have some pictures of that! 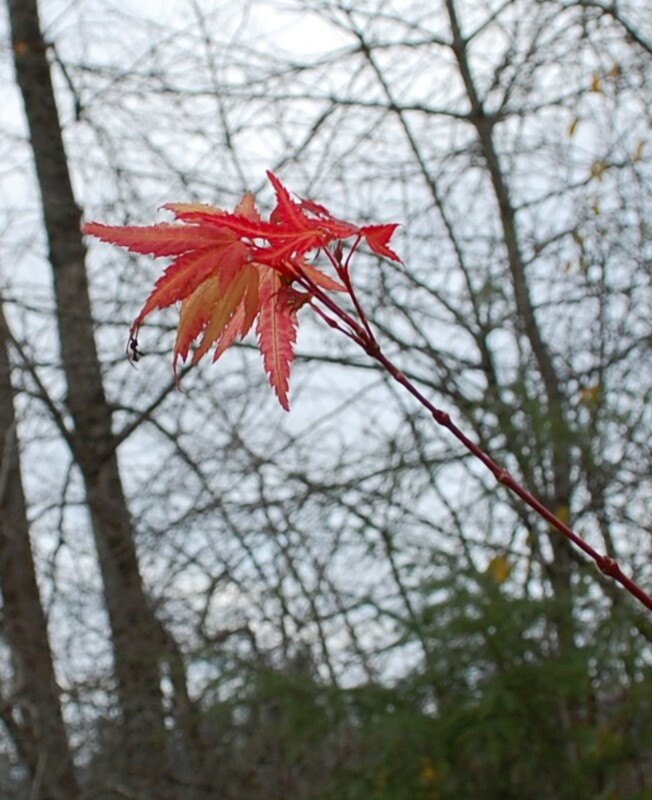 Here are some other things that have been seen around the Blue Nickel…. 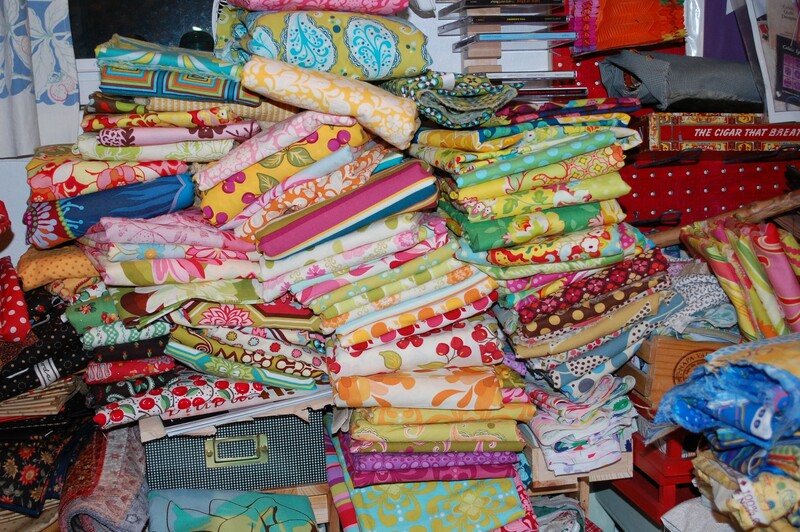 this stack is going into a quilt for Sara Nephew’s new book…not sure when it will be out…maybe next fall? 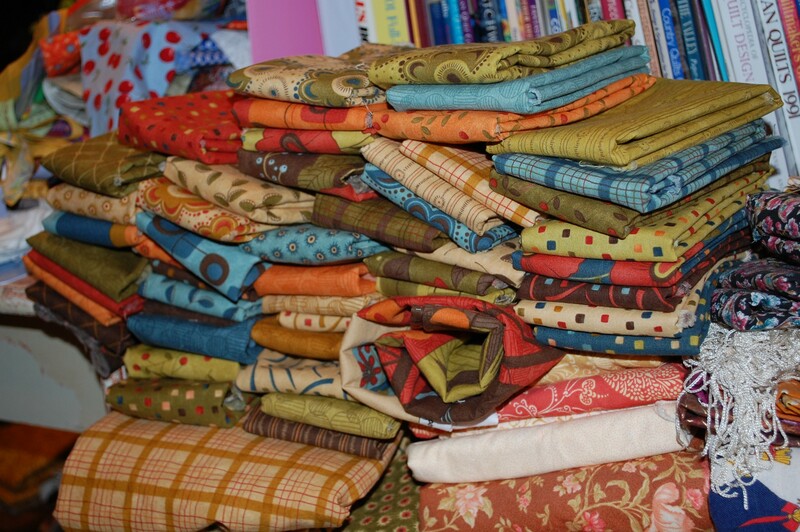 Some of my latest acquisitions….all destined to be in some kind of publication, either a magazine of my book…..there is a mix of Free Spirit, Michael Miller, and Moda fabrics in this bunch…needs more DARKS, huh? 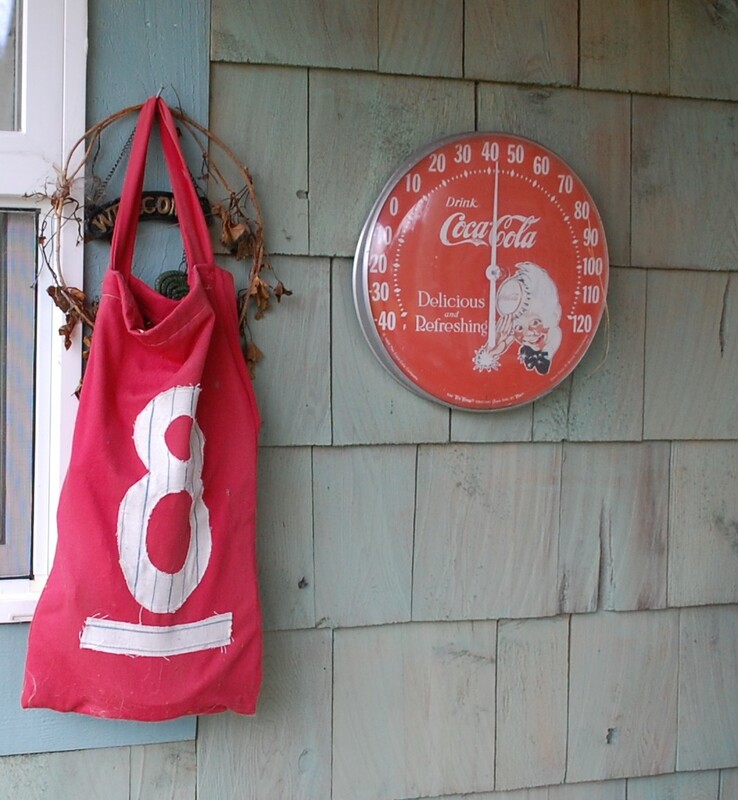 I made this bag years ago, and I love how it looks just hanging outside…It is getting faded as it is an old red, and I am sure not very colorfast, and I think it sat outside too long this summer, but it has a patina that I just love. Mimi was eight when I made it, so that makes it three years old. 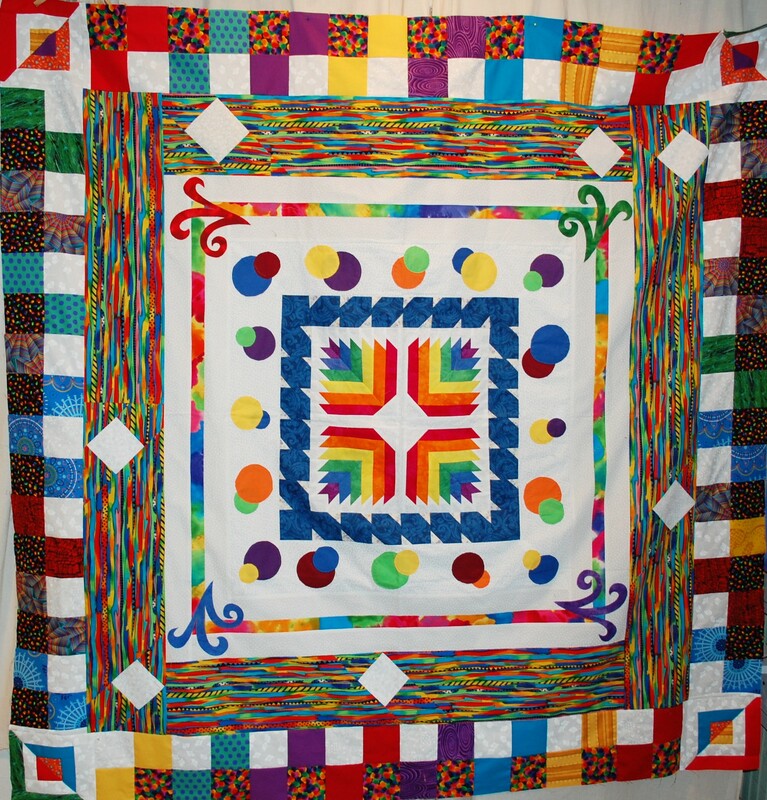 And last, but not least… is another Round Robin from the all male quilting yahoo group that I visit occasionally. This one is Paul in Canada’s and I added the final round with the squares and split corners. I really don’t like “white” in my work all that much, so it was quite a challenge to me. And for me, personally it is too “rainbow-y”….but that is what he started out with, and this is what he gets…It is actually on its way back to him so he should be getting this anyday…Hope he likes it! Beautiful work … as always! 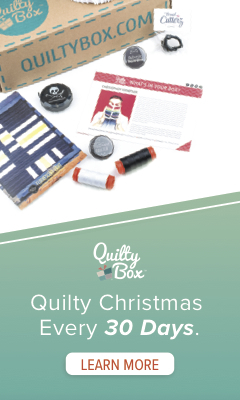 I can’t wait to see your Urban Couture quilt … and your Project Jay quilt … when they’re finished. 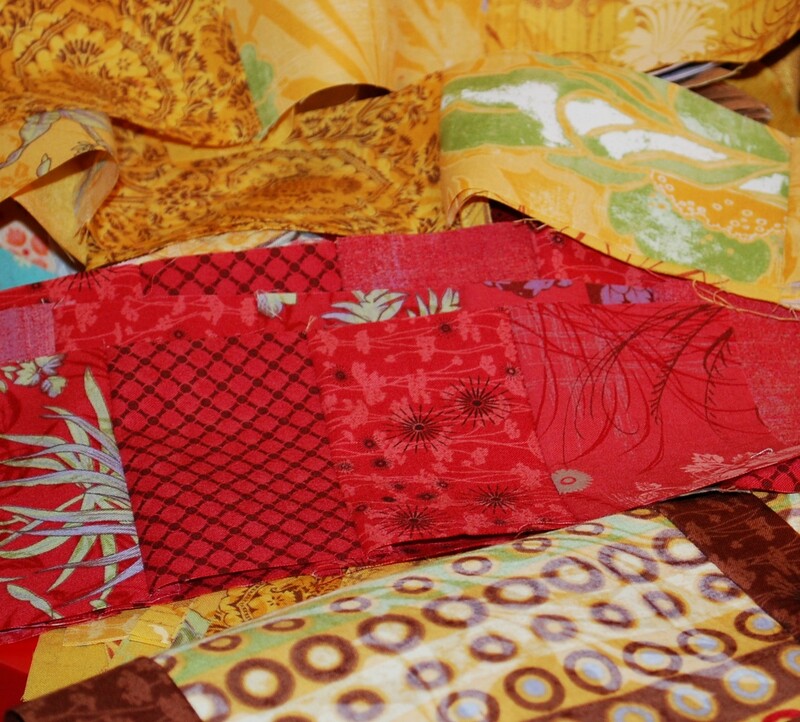 And wait — there’s an all-male quilting group on Yahoo? Can you point me in that direction? Paul, your Canadian quilting buddy. You can keep it Paul…and you forgot to write in the menacing laugh at the end, too! 🙂 Glad that you like it!